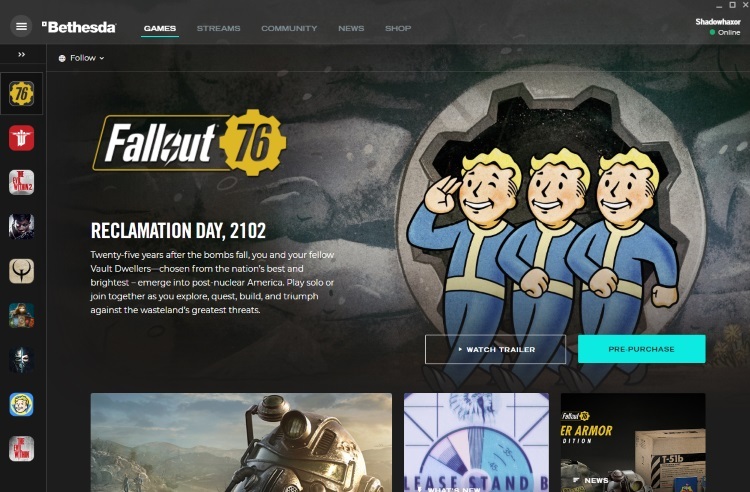 A few days ago, Bethesda released shocking news that their upcoming title, Fallout 76, would not be released onto Steam. Instead, it would be released exclusively on Bethesda’s own game launcher. This led many, including myself, to wonder if this was to be the fate of the rest of Bethesda’s upcoming PC titles. As such we reached out to get more information but never received a reply. IGN also reached out to the company with the same question and did get a reply. It would seem that Bethesda isn’t sure on what the future holds. Here’s what Bethesda’s SVP of Bethesda’s global marketing and communications, Peter Hines, had to say on the matter. So this begs to ask the question, what exactly has or is being planned for the future? In one hand, Bethesda could be completely honest and isn’t sure on their future actions. I can understand why moving Fallout 76 to their own launcher makes sense. For Bethesda, this ensures that they’ll get maximum profit and won’t have to lose 30% if they released the game on Steam. This could also mean that Fallout 76 could be a timed-exclusive for Bethesda’s own service, similar to how Microsoft releases certain games onto their Microsoft Store and then later onto Steam. Again, it makes a lot of sense. However, on the other hand, it could be that the company has already made up their mind. Fallout 76 could be the start of Bethesda parting ways with Steam completely. It’s not completely unfounded. Look at EA for example. Since 2011, they stopped releasing their major titles onto Steam. Outside of several Sims 3 and Kingdoms of Amalur: Reckoning expansions, the last EA game released onto Steam was Shift 2 Unleashed in 2011. Since then, every EA published title has been released onto Origins exclusively. It would seem that EA has enjoyed a pretty successful run with what started out as an experiment. What if this is exactly what Bethesda is looking at and figures if one company can do it, why can’t they. This also makes sense. As for why Bethesda isn’t saying if they are or aren’t. Well, it could be that they just don’t want the backlash of gamers loyal to Steam and want to avoid the negative press. Remember when they said they weren’t sending out review copies to press anymore? It wasn’t pretty. As to which one of these are right on the money, we’ll just have to wait and see. In the meanwhile, if you haven’t checked out Bethesda’s launcher, you should give it a try. It’s not that bad.